Hello Happy Easter to you too! 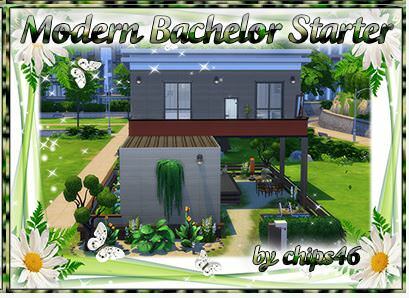 The design and layout of Modern Bachelor Starter is very nice! 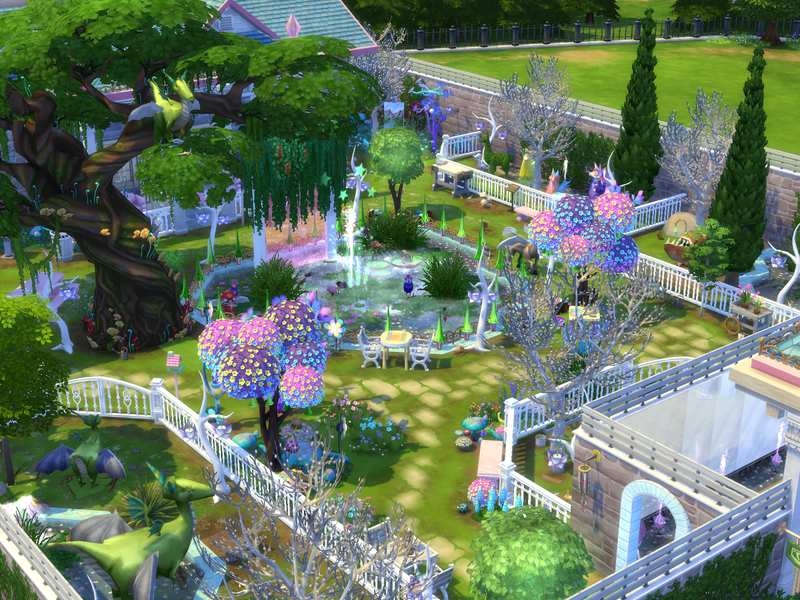 Very nice outdoors areas! 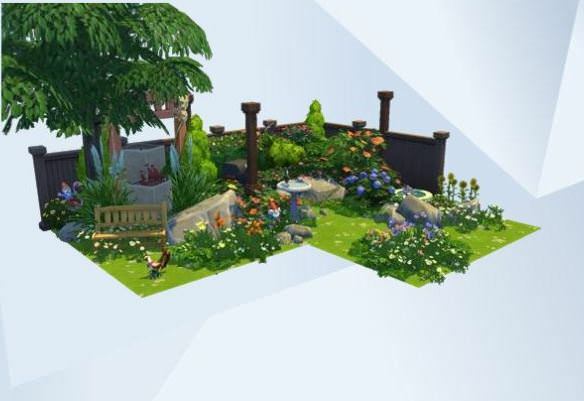 The plants bed on the side of the home and the plants in the front area of the build looks very nice! 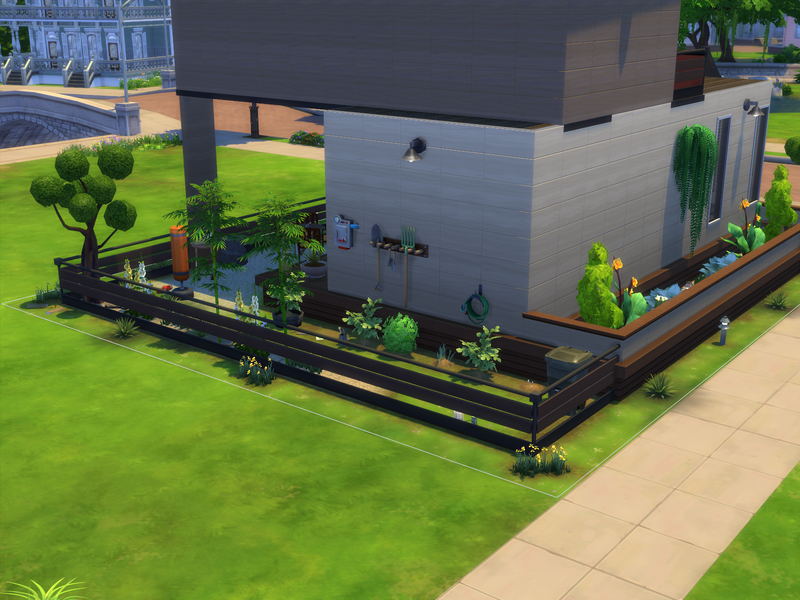 Nice harvestable garden nook for sims to enjoy growing plants to use in cooking. They will like using the punching bag to keep fit, and enjoy swimming in the corner nook pool. It is great that the outdoors dining area is under the upper level of the home. 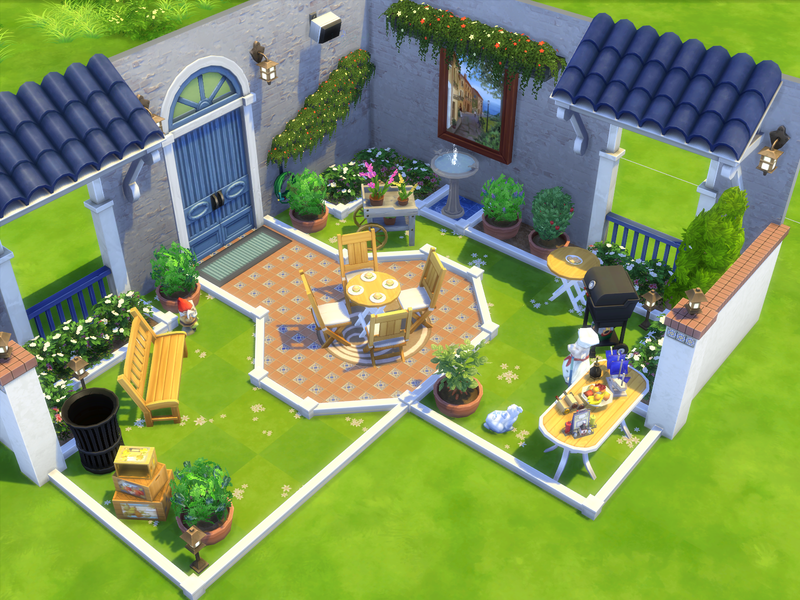 Sims will enjoy cooking and dining outdoors in the air. 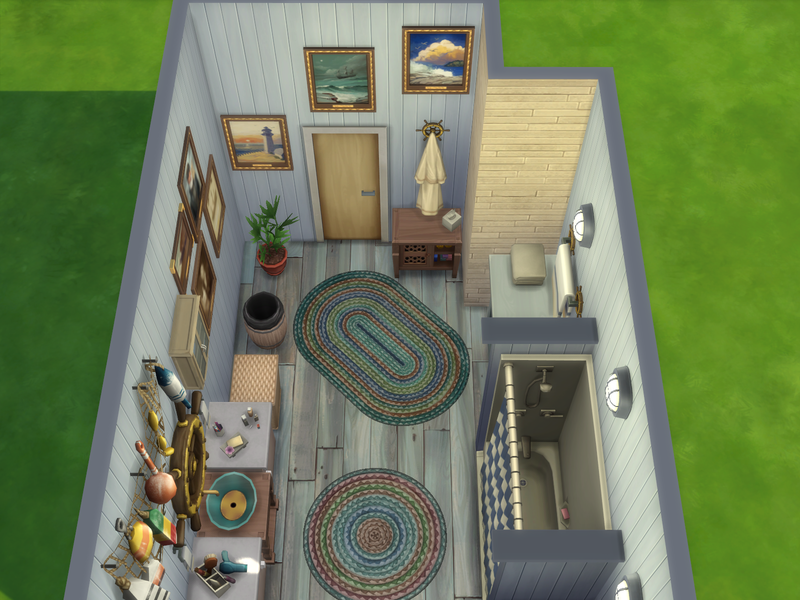 Nice art nook on the upper balcony for sims to enjoy looking out at the views whilst painting on the easel.Very nice furnishing of the interior of the home! The modern white and grey colour scheme of the home looks very nice. The patterned flooring with the squares on it gives a nice look to the room areas. Very nice design of the kitchen. 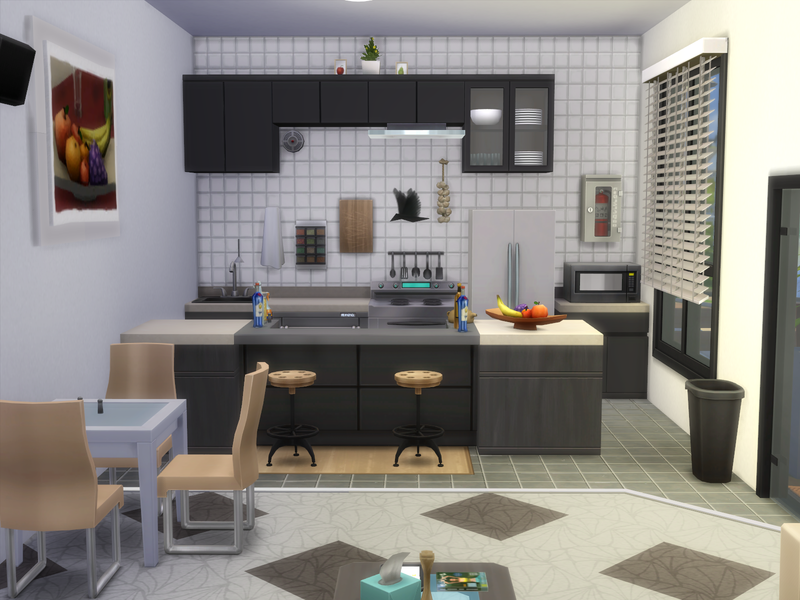 It looks great how the cabinets have been placed there, and the fruit bowl, fruit picture, garlic , utensils and spice set are great kitchen touches on the walls and bar stool counter . The white wall tiling suits well the type of home. 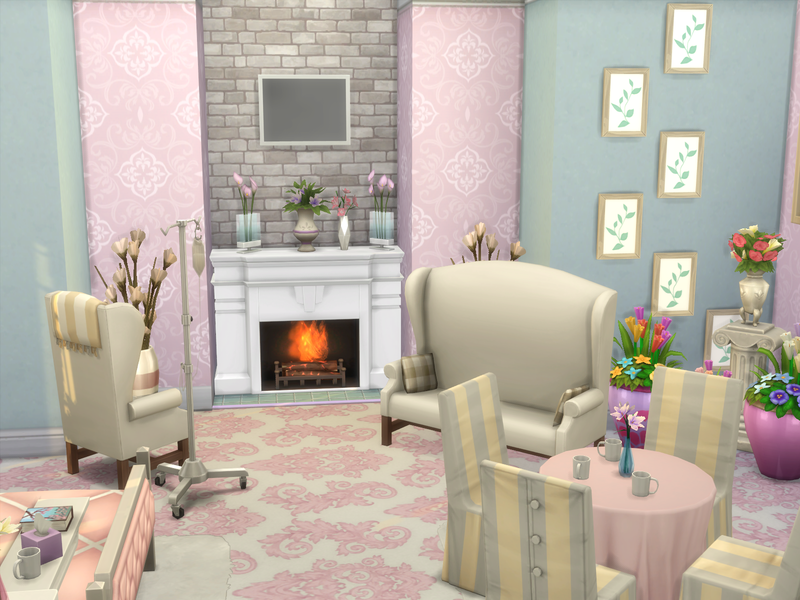 Very nice sofa seat sitting area for sims to enjoy relaxing there and watching tv. The pictures on the wall add a nice look to the area. 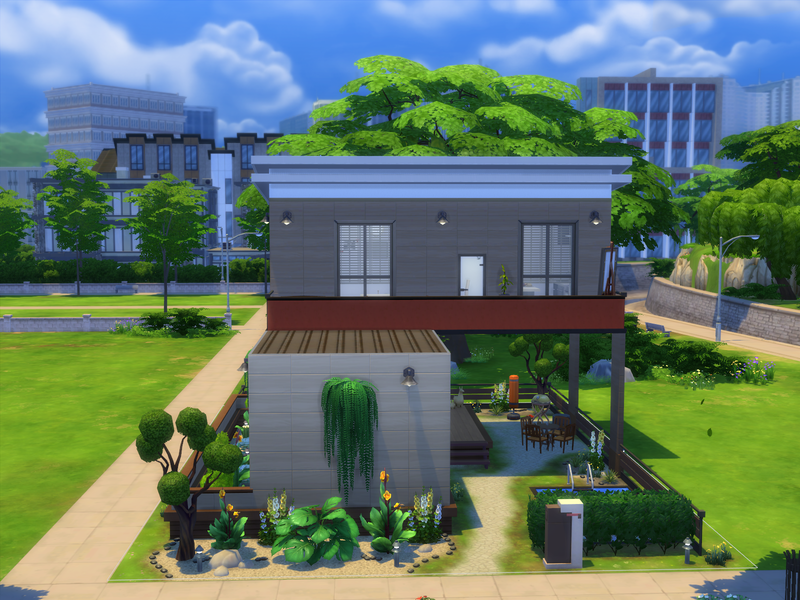 It is a very nice starting out home! It is great that a bird is flying in the home also! The design of the outdoors garden room is very nice! It looks very nice how you have used the kerbing around the edges of the dining table area, and the floor tiling looks very nice. 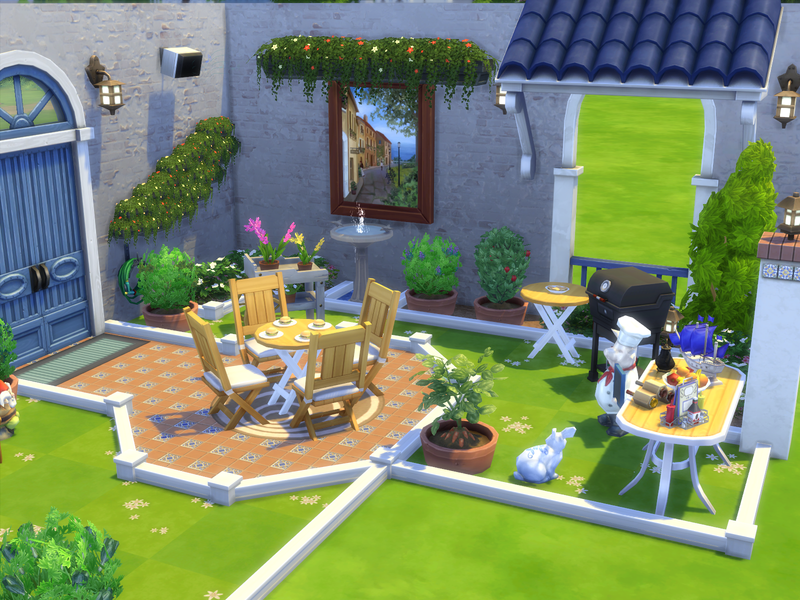 Sims will enjoy cooking on the bbq and eating the meals at the table in the sunshine. The chef pig and white bunny are cute! The teapot, bottles, condiments and fruit bowl are nice dining touches on the table, and the ship is a great Greek touch. It is nice that there are harvestable plants growing in the planters in the corner nook and either sides of the door. 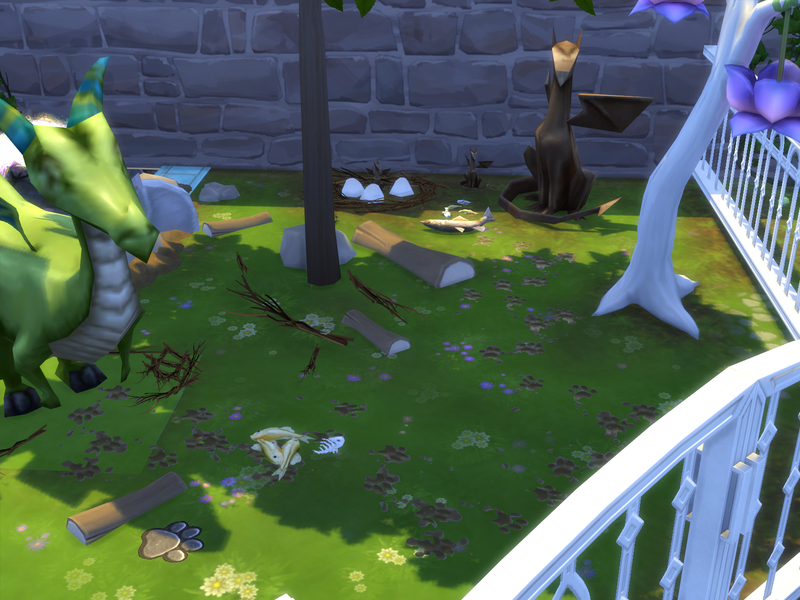 The bird bath is a nice touch there. 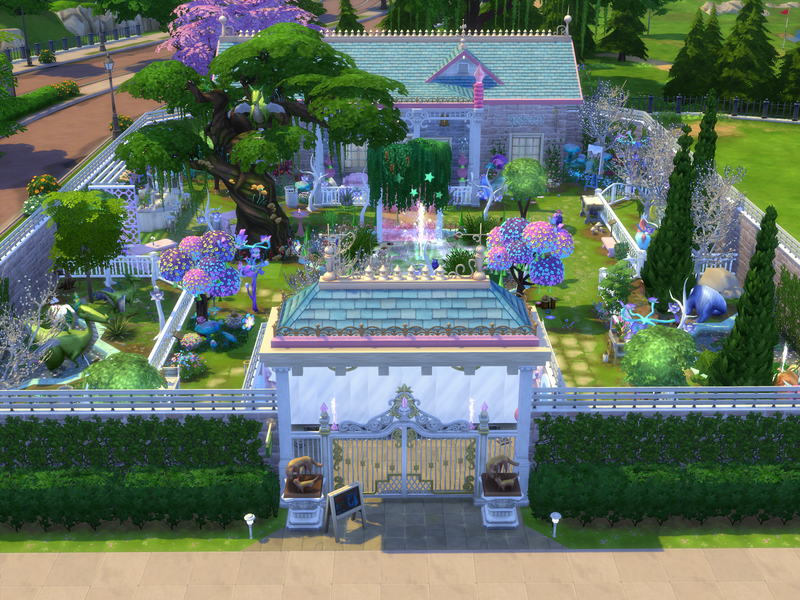 Sims will enjoy sittting resting on the seat bench. The ceramic awnings look great! Congratulations on Activist New Office being favourited by Maxis! That is exciting ! The furnishing and design of Nautical Bathroom is very nice! 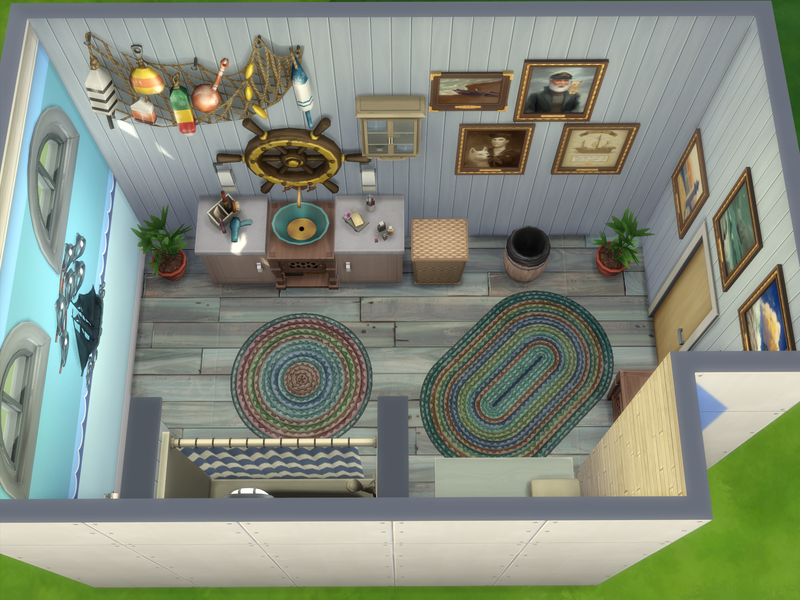 The old blue wooden texture of the walls gives a nice nautical feel to the room. It is very creative the way that you have done the wall section with the ship sailing on the wall pattern waves and fish are placed over the top of it. It looks great! The nautical pictures look very nice placed in a diagonal row above the door, and all the wall pictures, the different sizes of ships wheels. and the fishing net are great nautical touches in the room! The floor rugs add a nice look to the room. The toiletries, hair dryer, toothbrushes on the sink counter, and the hand towels and cabinet on the wall are very nice homely touches. The sea themed patterned shower curtain suits the room type well. The green plants are nice touches of nature there. 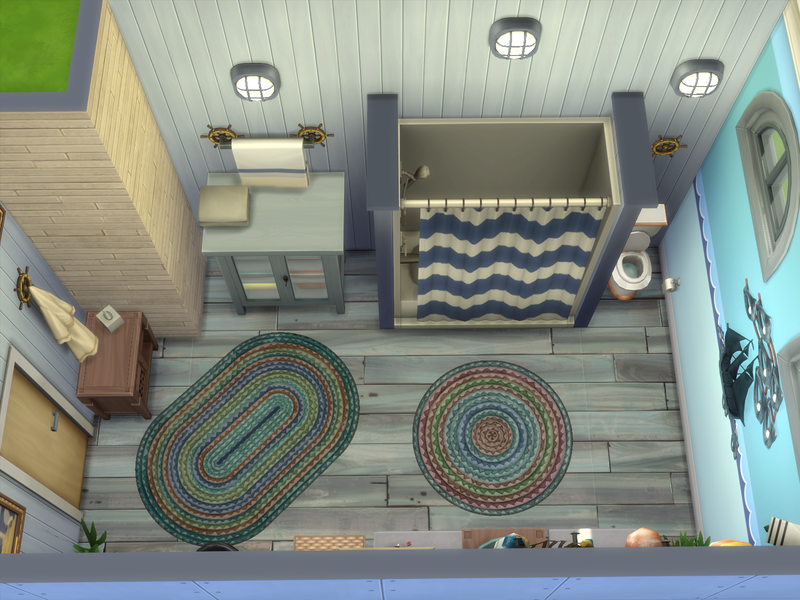 The small ships wheels look great placed either sides of the wall towel. Sims will like to wear the hanging robe after having a bath or shower. 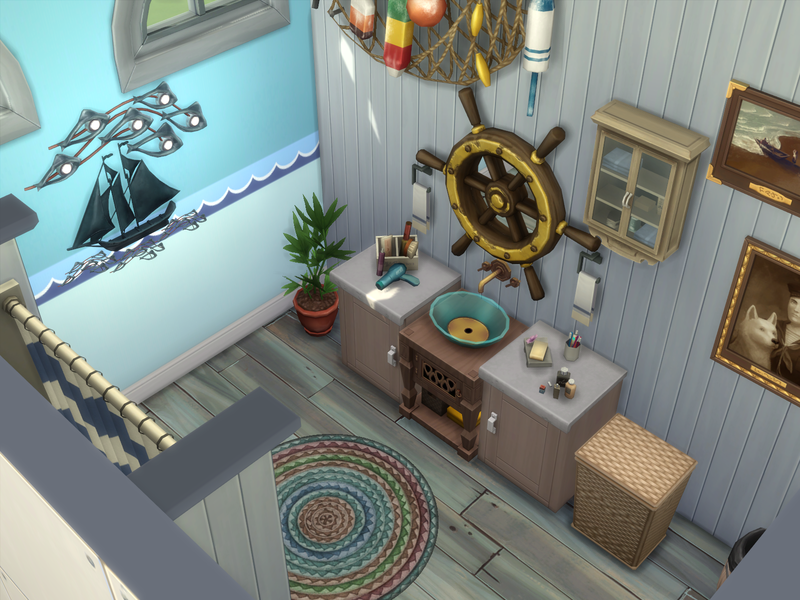 It is a very nice nautical bathroom! 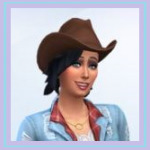 Thankyou very much for entering this week’s challenge! 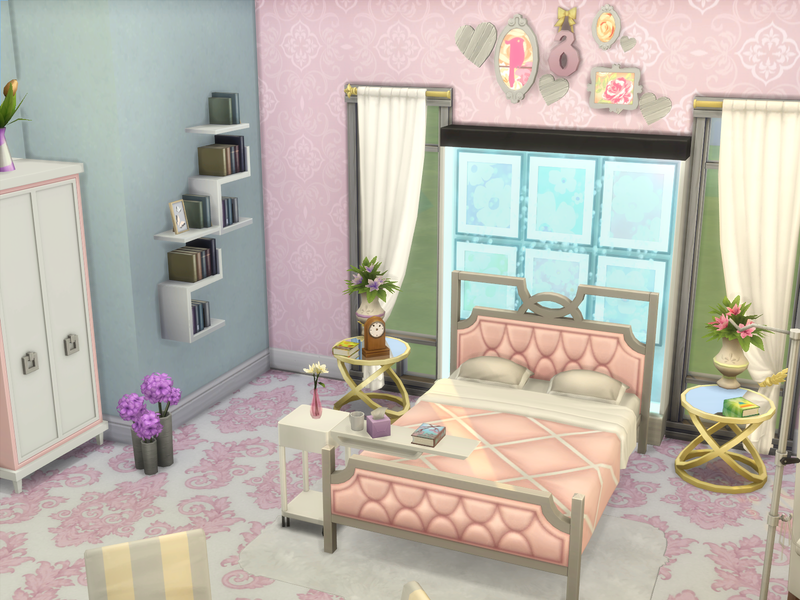 Tea Party Bedroom is so very pretty! It is nice that it is in her bedroom so if Lucy’s Mother gets tired she can have a rest in her bed. Very pretty pink and blue colour scheme of the room! 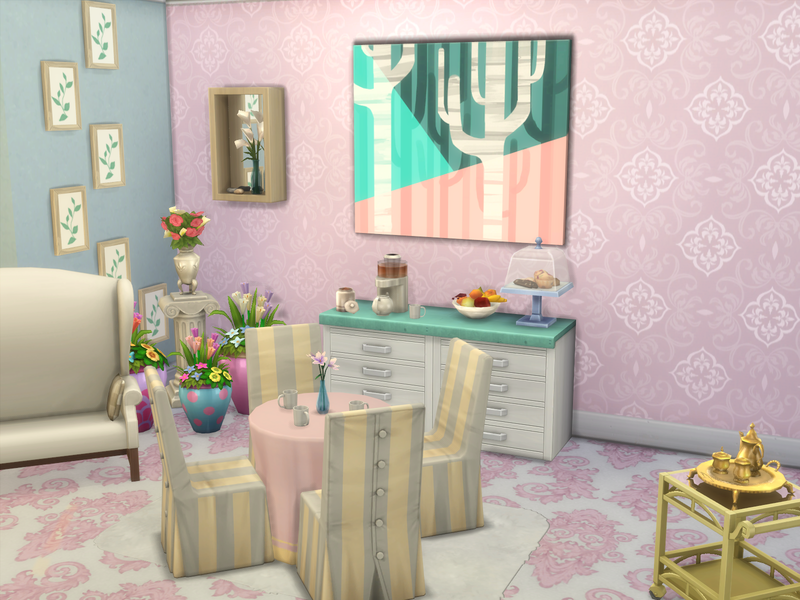 The pink patterned walls and floor looks very nice! The blue coloured wall looks complements well with the pink walls and flooring. 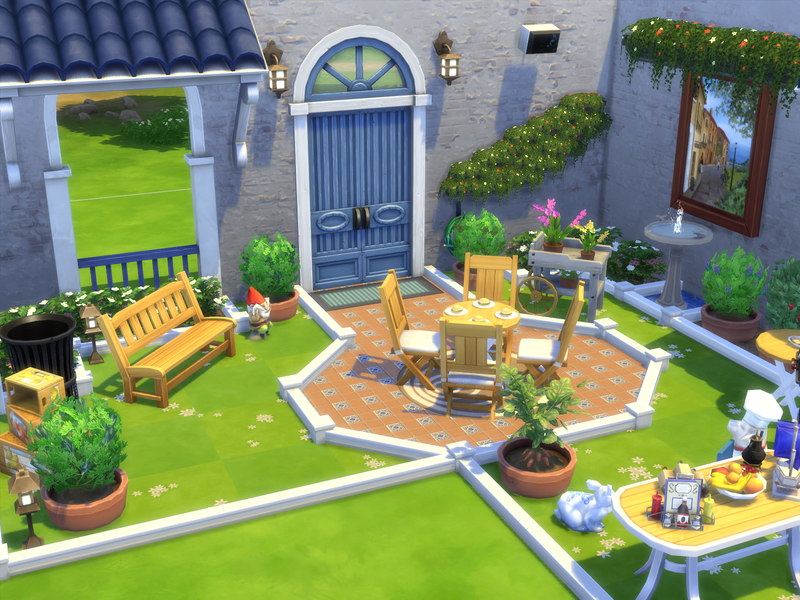 Very nice dining table area with comfortable seats for the Sims to sit on and enjoy a cup of tea from the golden teaset and the tea brewer. The mugs are a great touch on the table. They will enjoy eating some cake from the display case item or some healthy fruit. Very nice double dresser nook! 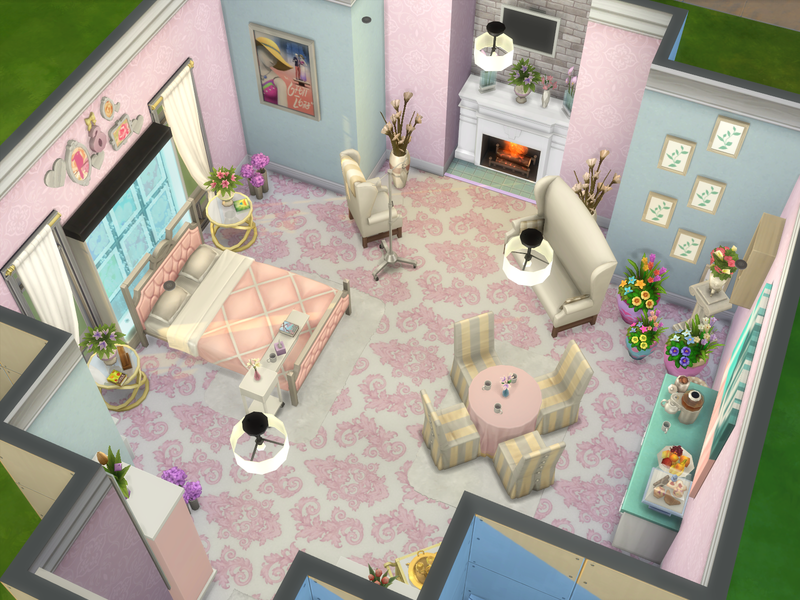 It is very nice that there are flowers on top of the dressers, and a vanity table between them with beauty items on it. 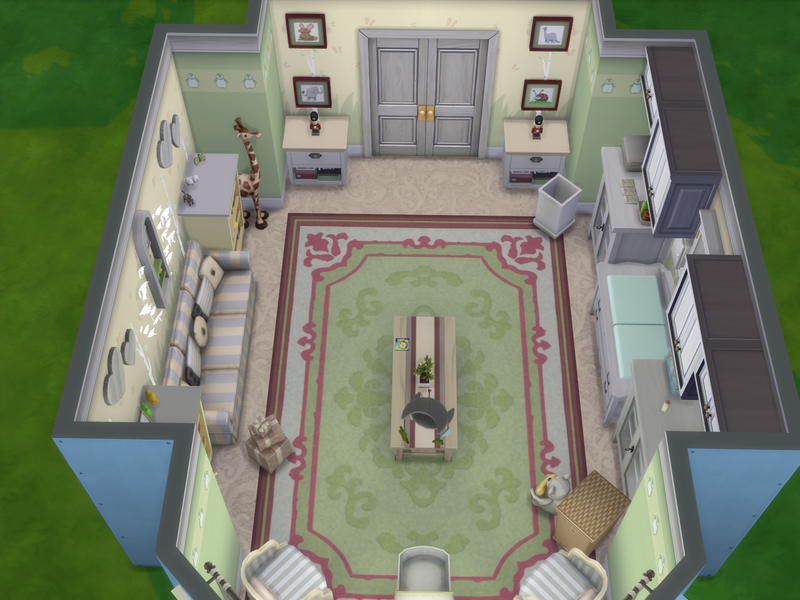 She will like using the mirror when putting on her makeup, The flowers on the vanity table, on the fireplace ledge. on the floor, on the bed tray and on the beside tables are very pretty in the room for her to enjoy looking at! It looks so very creative how you have done the bed trolley tray ! The books and tissues look nice placed on it and her medicine cup to use for her pills. 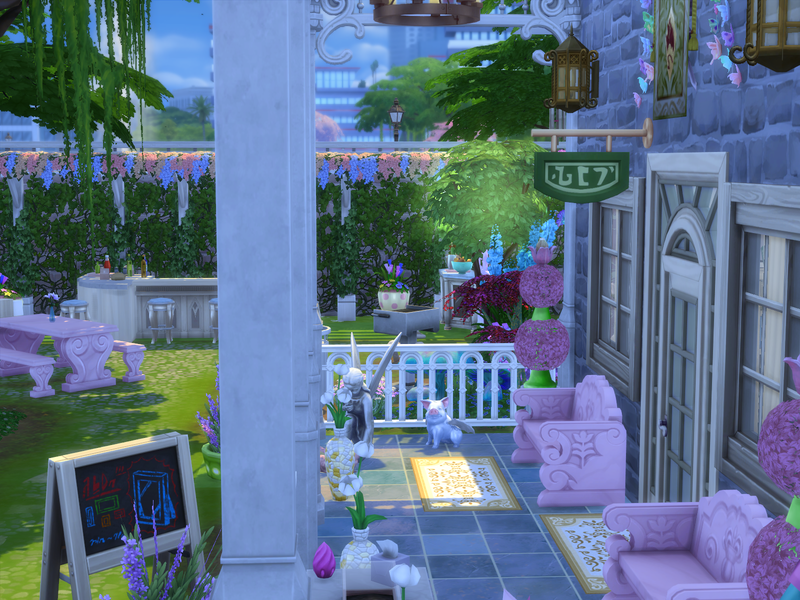 The design of the water window and floral picture feature in the bedhead area looks very creatively great also ! The two bookcase shelves look great placed together on the wall. The mother will enjoy sitting on the armchair or sidecar in front of the fireplace chatting with her friends, watching tv or reading a book. Very nice and pretty corner nook of flowers! The flowers are a nice touch on the pedestal and flowers around it. The leafy pictures are a nice touch on the wall also. They look great how they have been placed there. 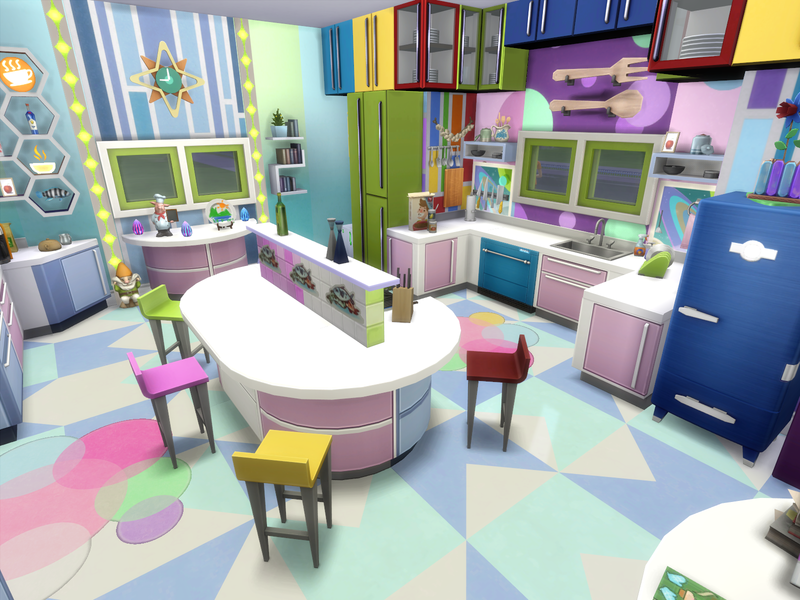 Colours of life is a very colourfully nice kitchen! You have used the variety of colours so very well in the room! Very nice furnishing of the room! 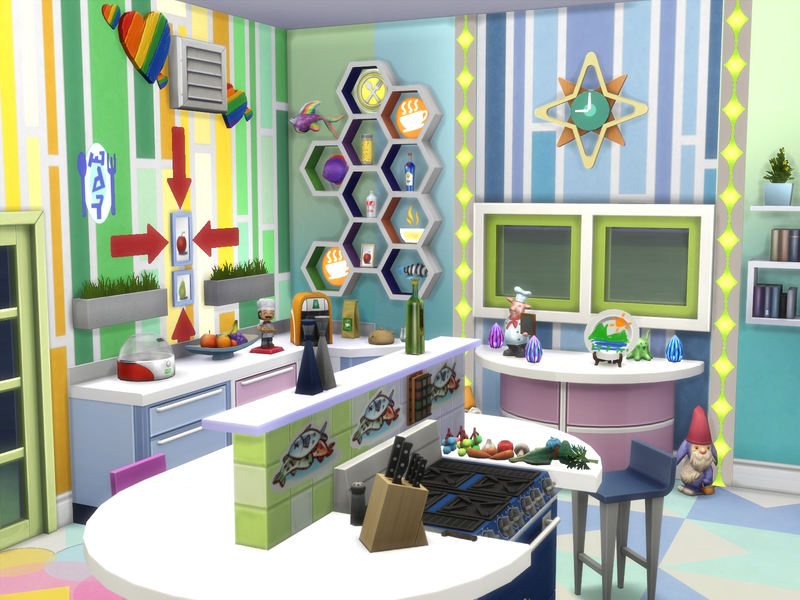 The coloured wall patterning looks great! Very nice floor patterning design! 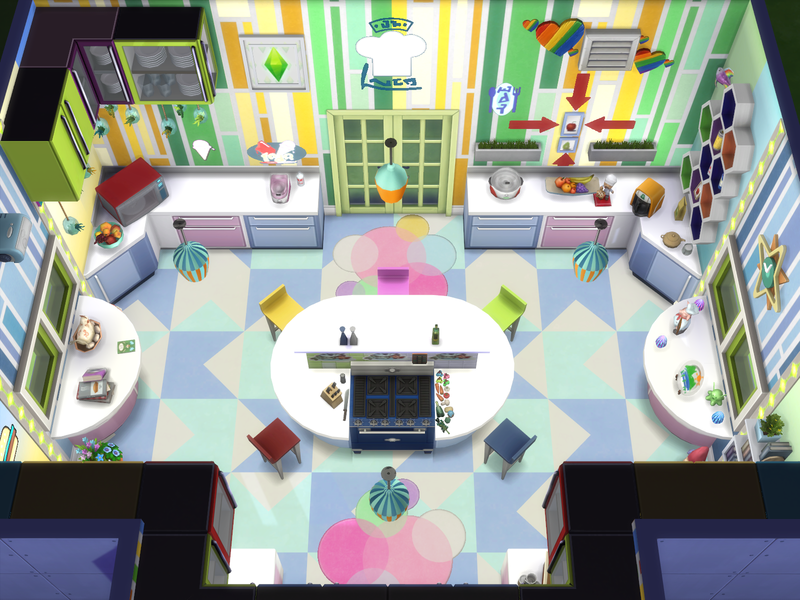 The design of the island stove and bar stool counter is great! It looks great that a half wall ledge is in the middle of it, and the fish prints look great on the walls. The colourful fruit and vegetables are a nice touch on the counter area beside the stove. 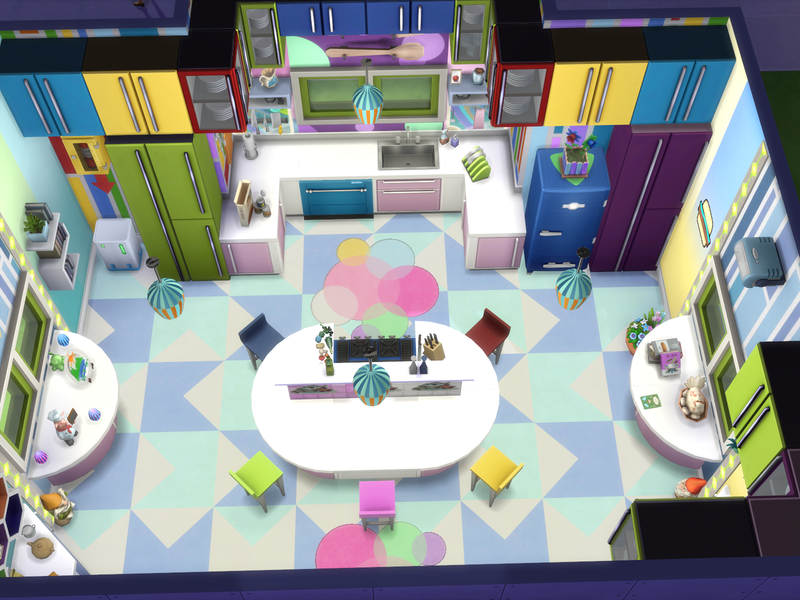 The colourful and pastel stools are nice for sims to sit on, and eat a meal. The pictures and items look great in the honeycomb wall shelving item! 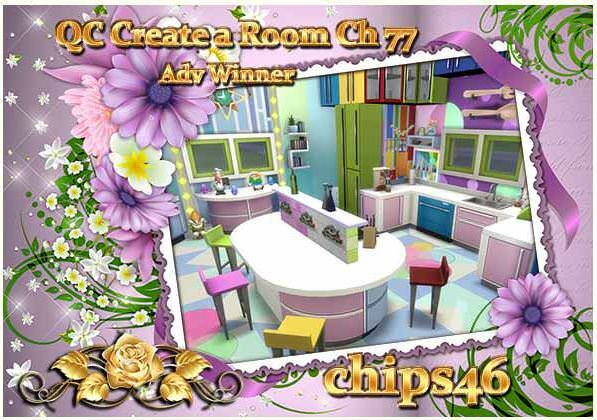 The Chef mysim and pig are cute in the room! The little and big rainbow hearts look great how they are placed on the wall and the arrows pointing towards the fruit pictures looks great! Very nice sink nook! 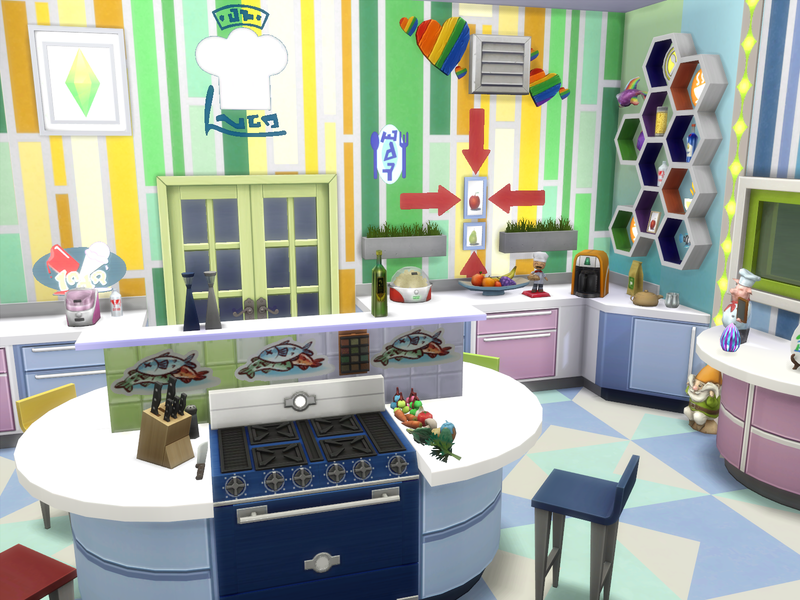 The variety of coloured kitchen cabinets and the fridge looks colourfully great! 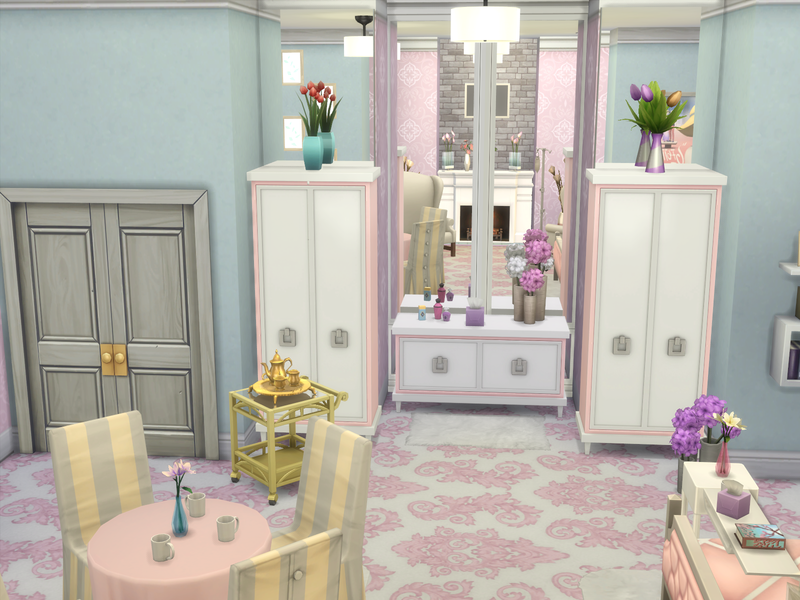 The pastel pink and blue counters look very nice in the rooms. Sims will like making ice creams and popcorn using the machines. The hanging plants decor, fruit bowl, cookbooks and dish rack are great touches in the room. 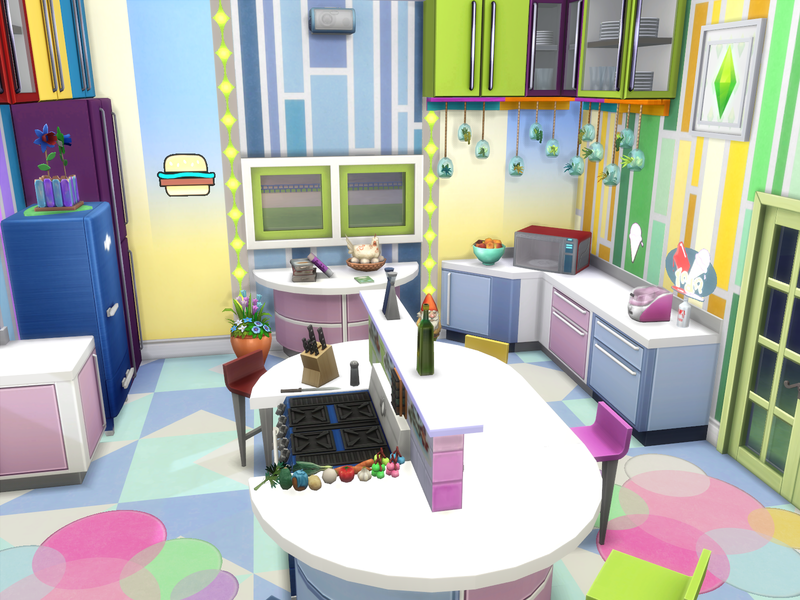 It is very nice colourful kitchen room! 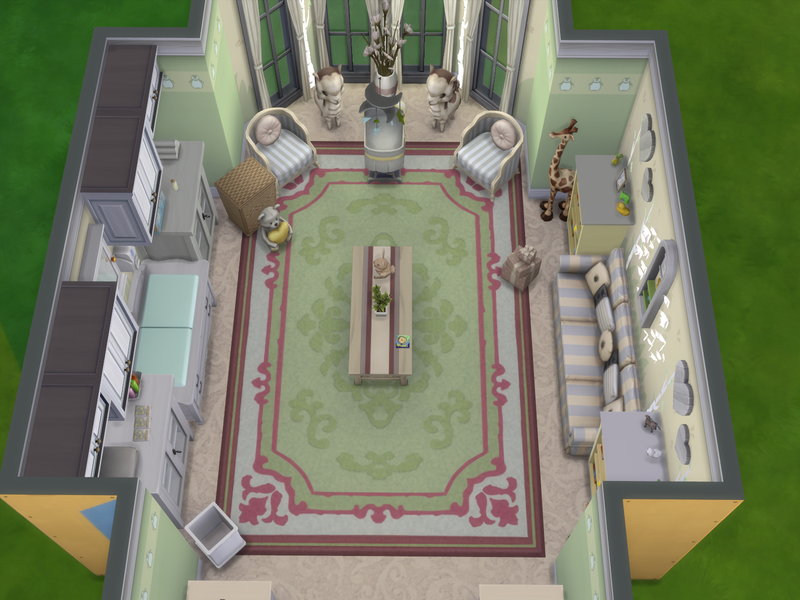 The furnishing and layout of Royal Baby Nursery is very nice! 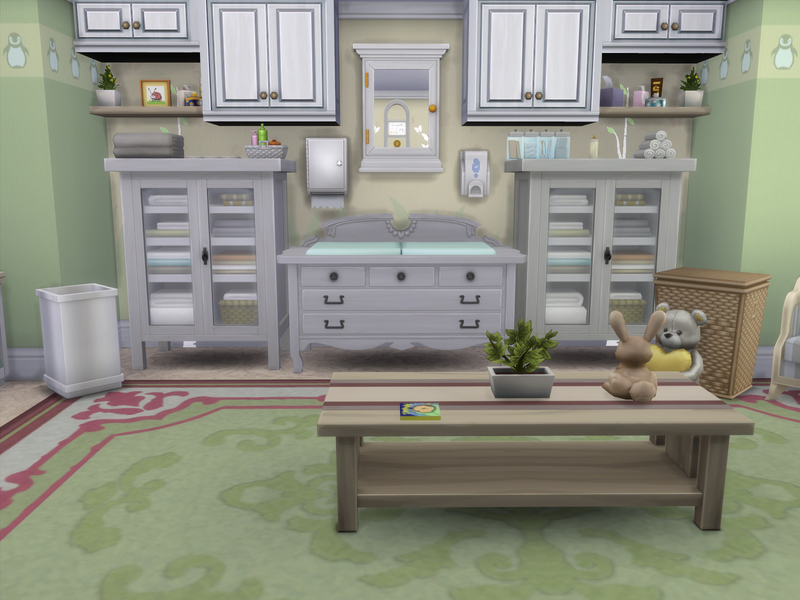 The green and grey colour scheme of the room looks very calming for the new little baby and the large patterned floor rug adds a very nice look to the room. 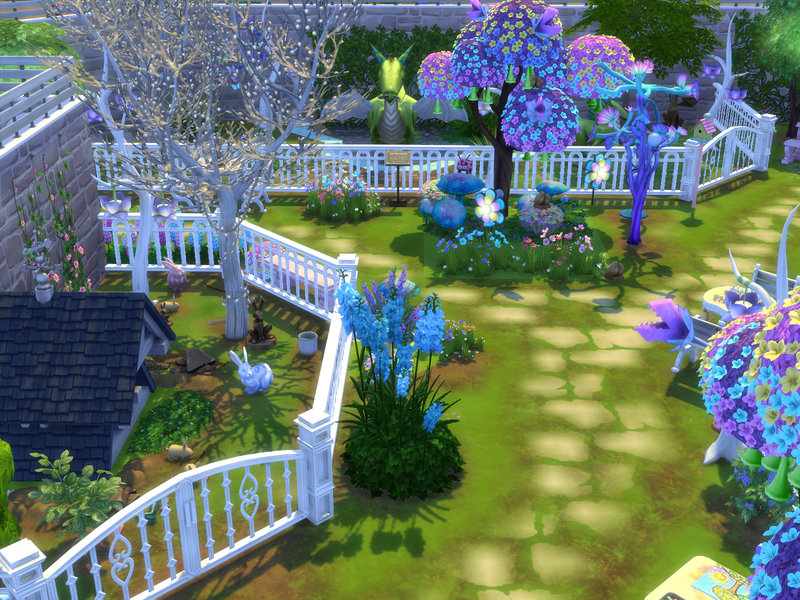 The pretty butterfies and penguins patterned wallpaper looks very nice!. 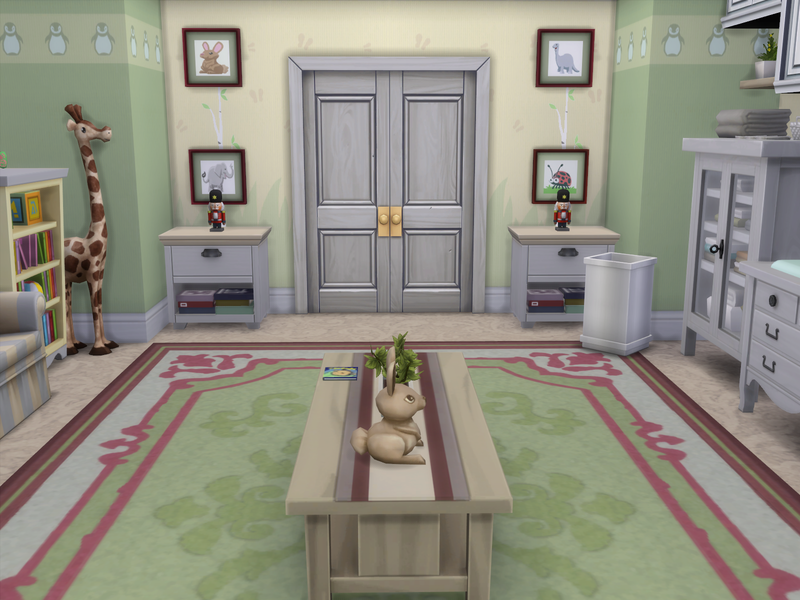 The framed animal pictures either sides of the door and the nutcrackers on the tables look cute! Very nice windows bassinet alcove! The llamas are special touches either sides of the cot, keeping the little baby company as they sleep The sunlight will be nice coming in though the windows . The Royals will enjoy sitting on the arnchairs keeping watch on their new little baby whilst asleep. The design of the changing table wall looks very great! The bathroom towel cabinets, other wall cabinets, paper towel and soap dispensers, the mirror and the toiletries on the shelving look very nice there! Very nice sofa seat sitting and reading nook! 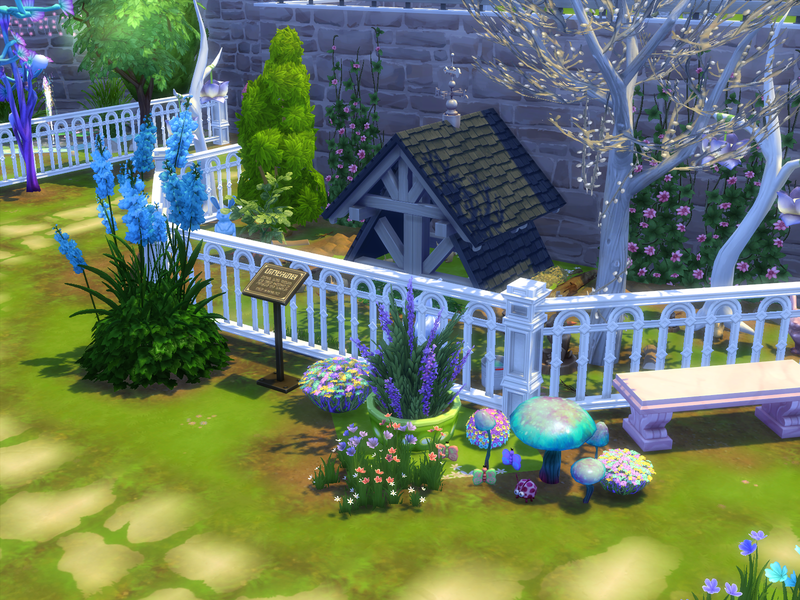 The sims will enjoy reading stories to their child whilst sitting there. 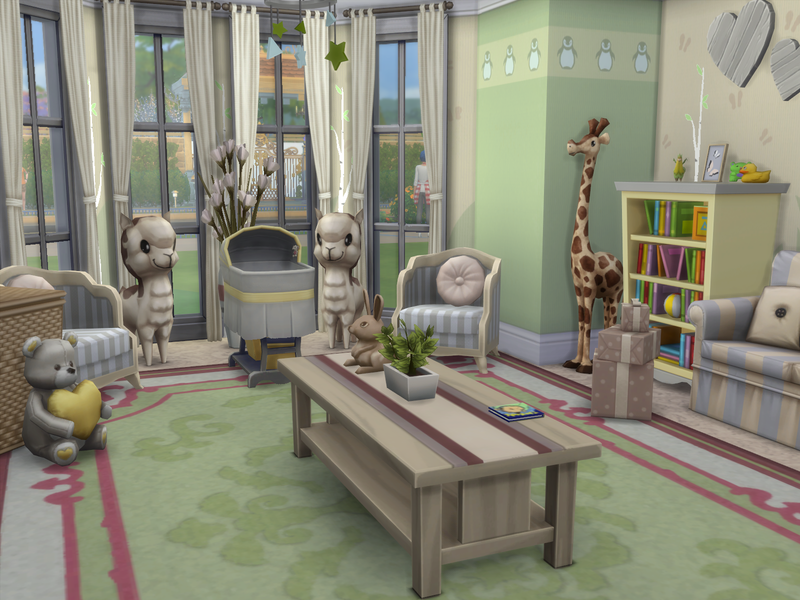 The giraffes either sides look cute! The bookcases look great placed on either sides of the sofa. 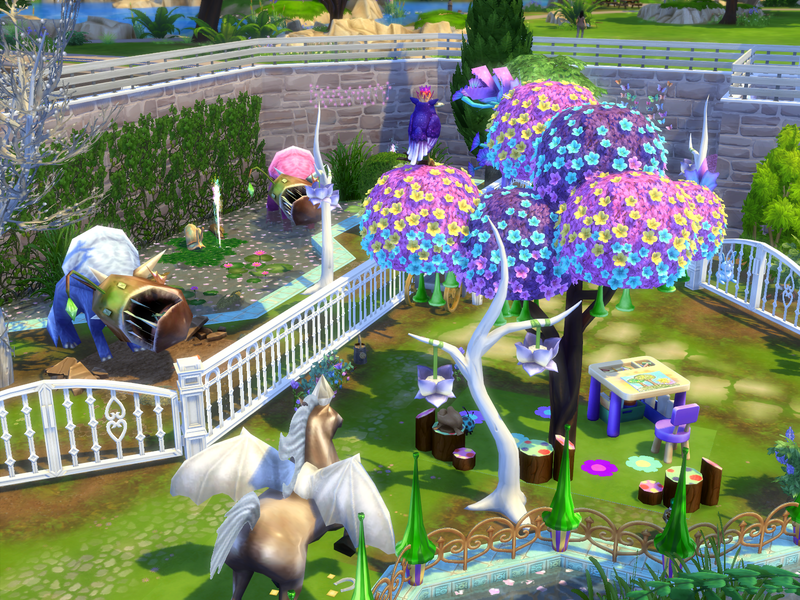 It looks very creative how you have designed the wall feature with the pretty white butterflies, rosette and baby shoes! It looks great! The wooden hearts are special on the wall The heart teddy is cute in the room! It is nice that there are wrapped up new baby presents there. The bunny is a nice touch on the middle area coffee table. 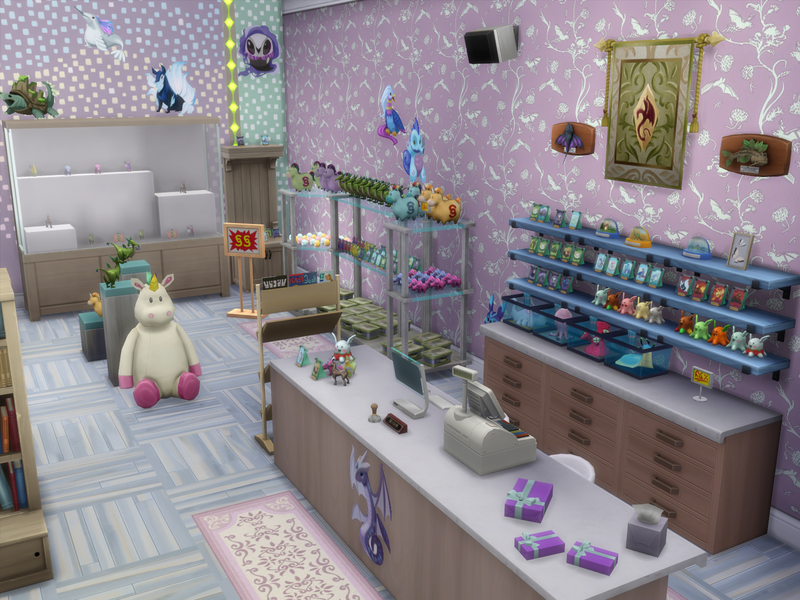 The design of the Nursery is very nice! 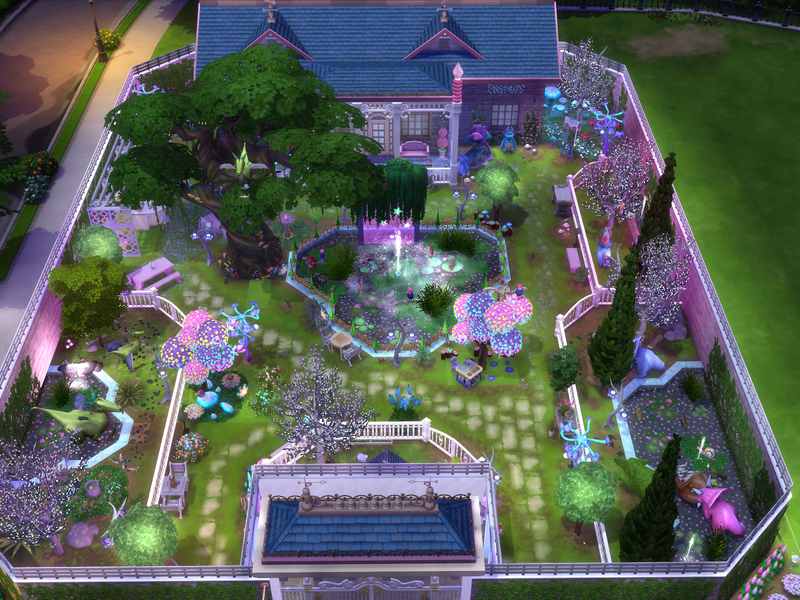 Mystical Magical is such a very creatively designed zoo! It looks so very nice! 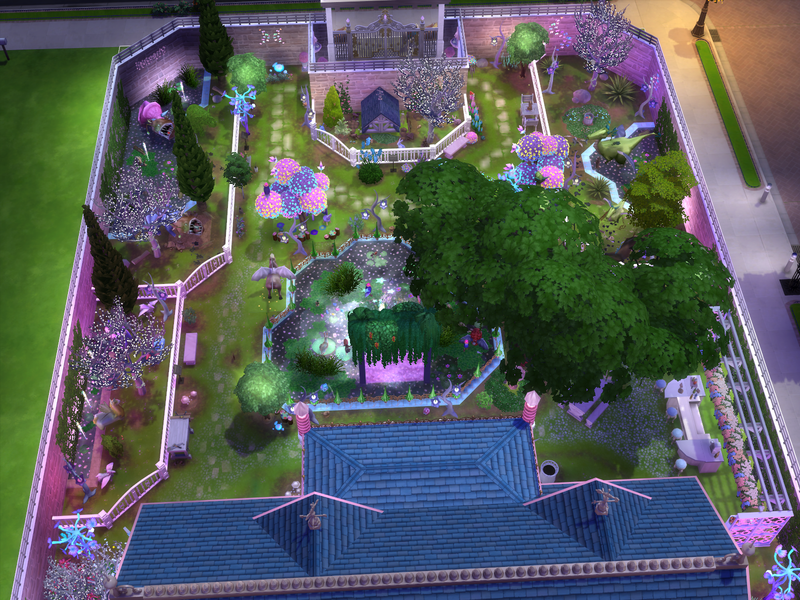 The pink, blue and white colours of the trees and plants used gives the zoo such a mystical and magical look! The design of the zoo looks great! 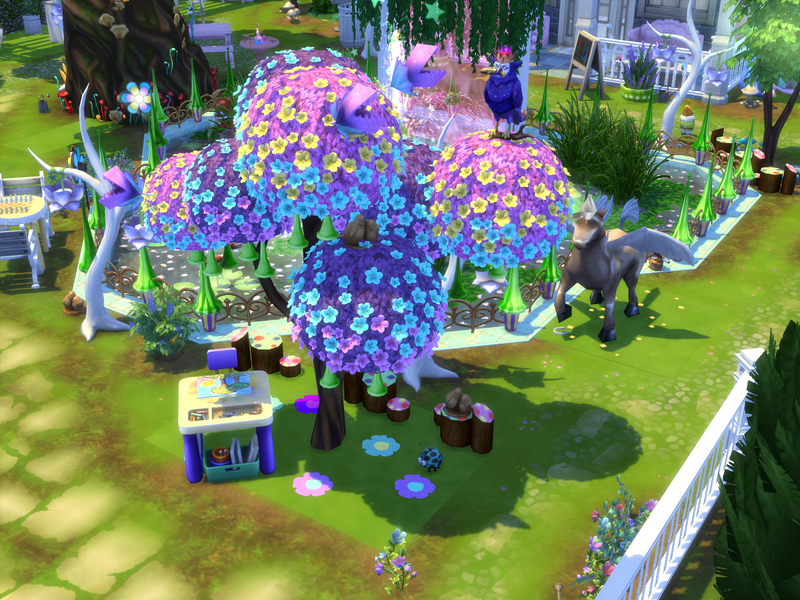 The animals, their names and how you have placed them in the zoo looks very nice! The flying dragon in the tree looks great! 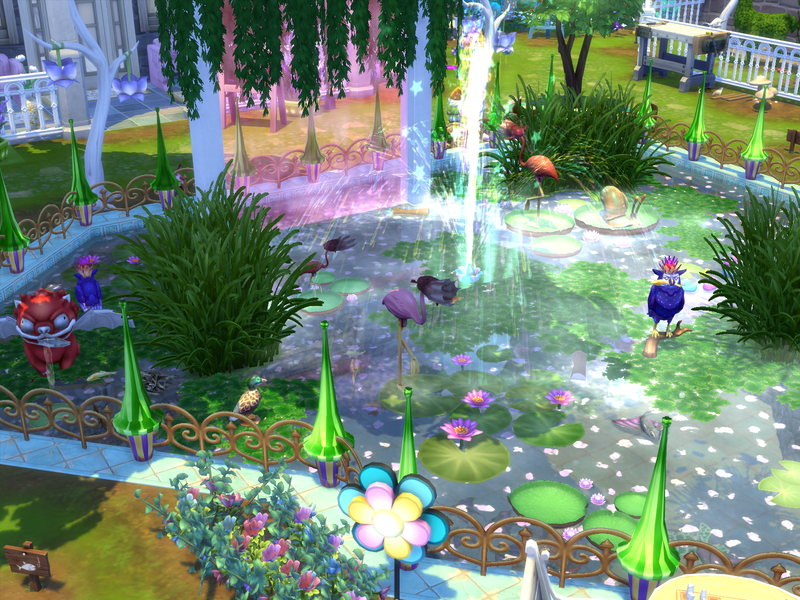 The lilypads and water fountain pond area looks great! 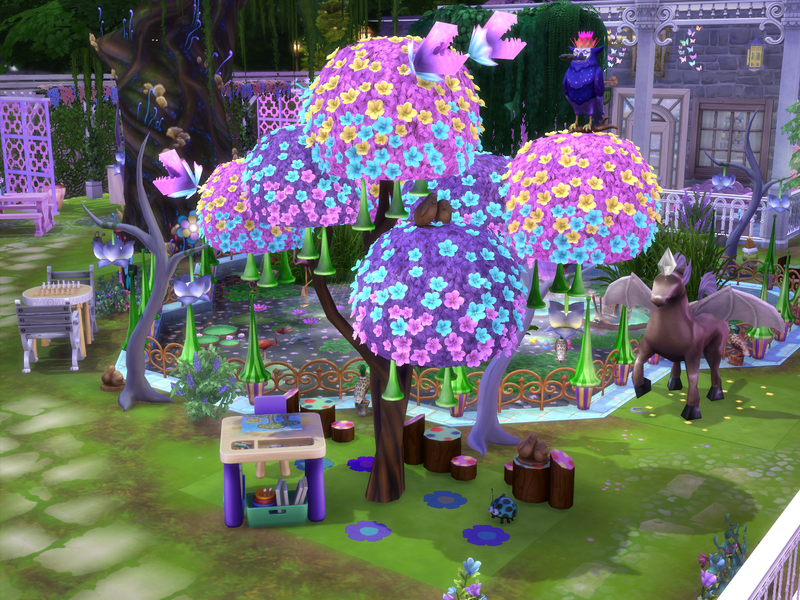 The trees look so very pretty! Very nice roof covered front gate entrance to the zoo.. The animal sculptures look great on each side of the gate . The white fencing looks very nice separating off the areas, .The exterior design of the building and the colour of it looks very nice! The sale items look great how they are placed on display on the shelving in the gift room. 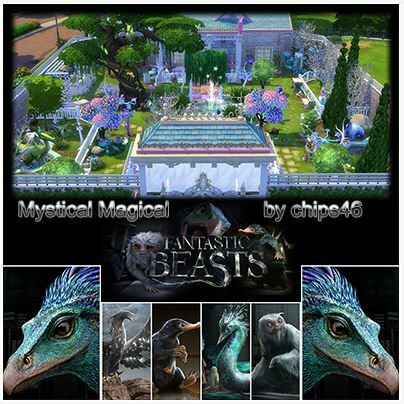 It is a very prettty., creatively designe$ and magical zoo! 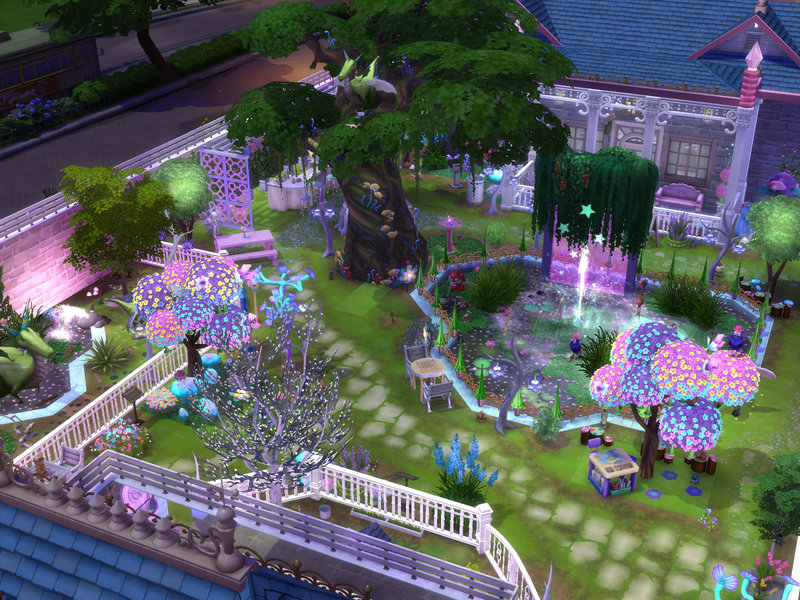 Congratulations on Colours of Life being favourited by Maxis! That is great!